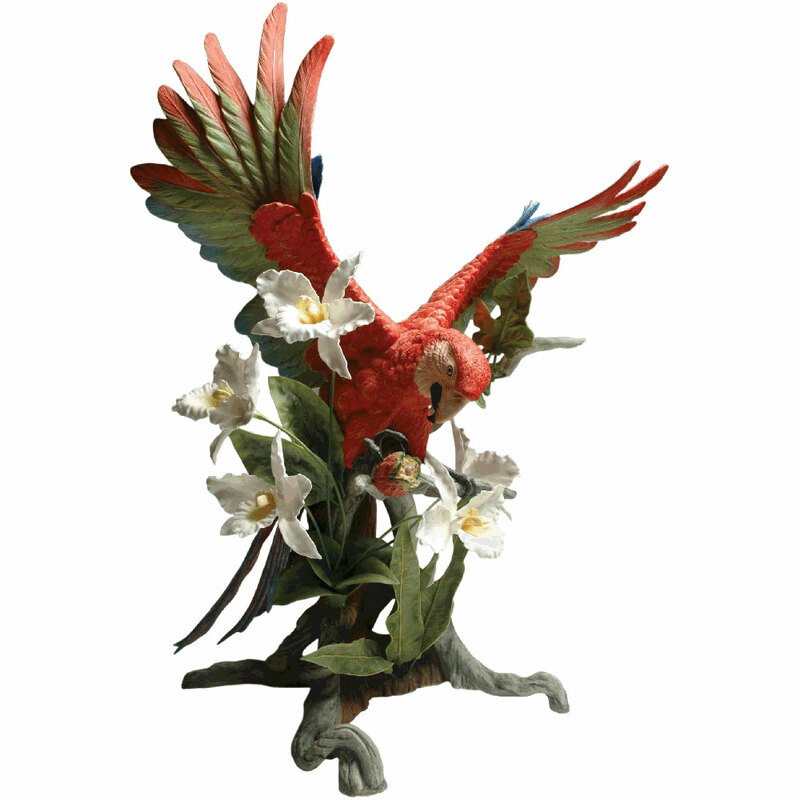 The Macaw in Paradise is one of the most spectacular creations by the Boehm porcelain company and the two bird and orchid compositions on display in our current Biophilia exhibition are attracting a lot of attention. 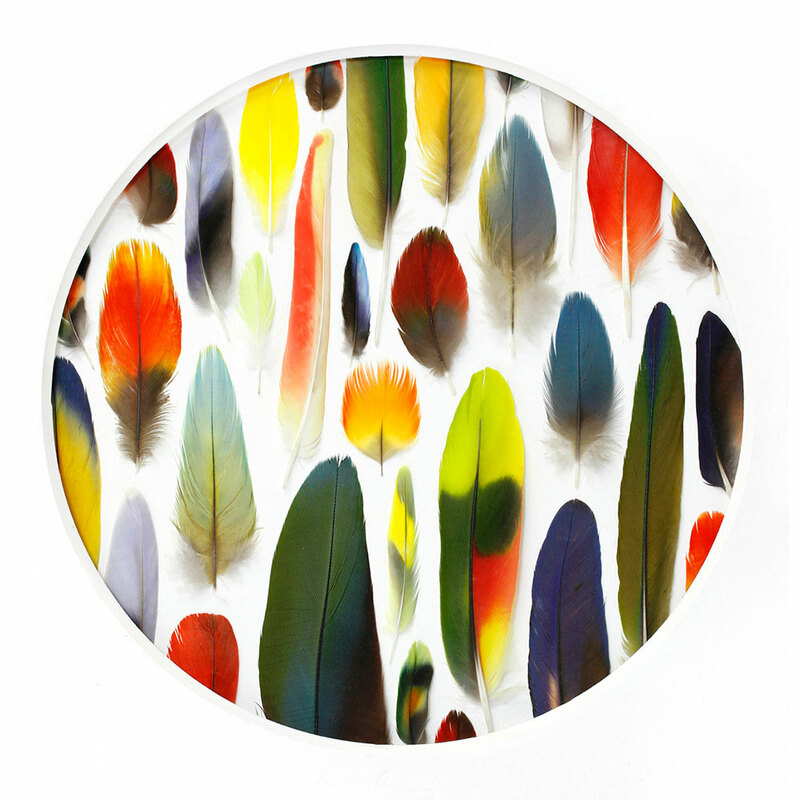 They are shown alongside some striking feather mosaics and Amazon Parrot wings lovingly preserved by Christopher Marley. 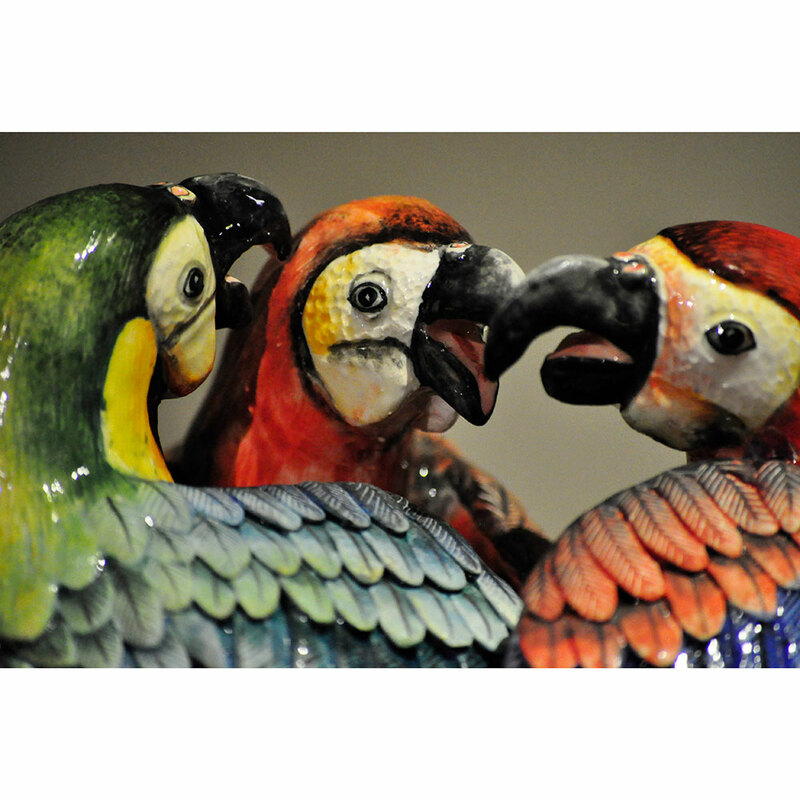 Macaws are members of the parrot family and they have larger beaks and longer tails than other types. They are native to the tropical rainforests of Central and South America and are endangered in the wild due to deforestation. 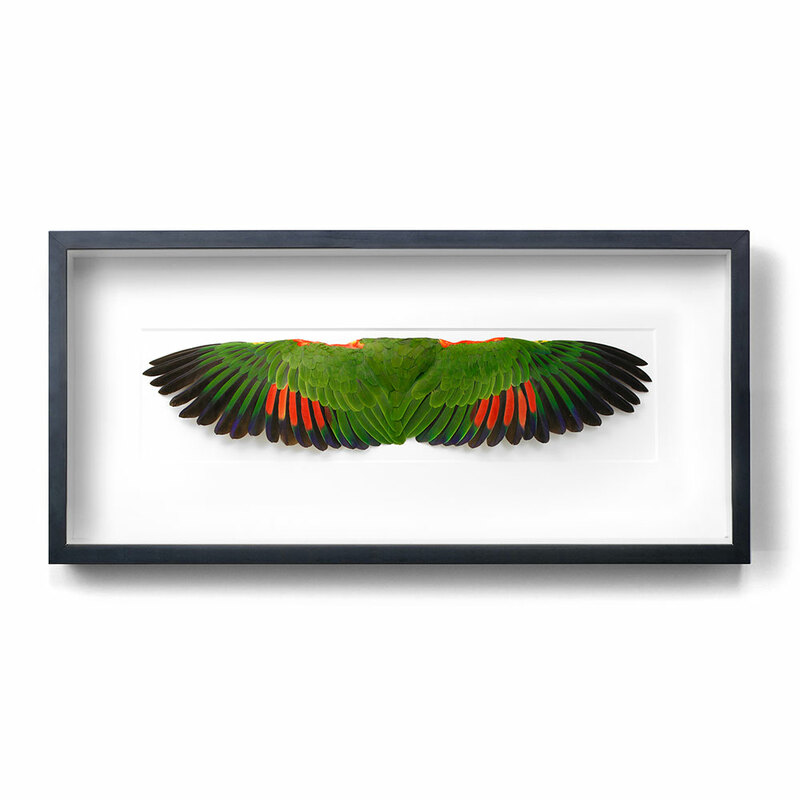 Some species of Amazon parrots are also threatened due to their popularity as pets. 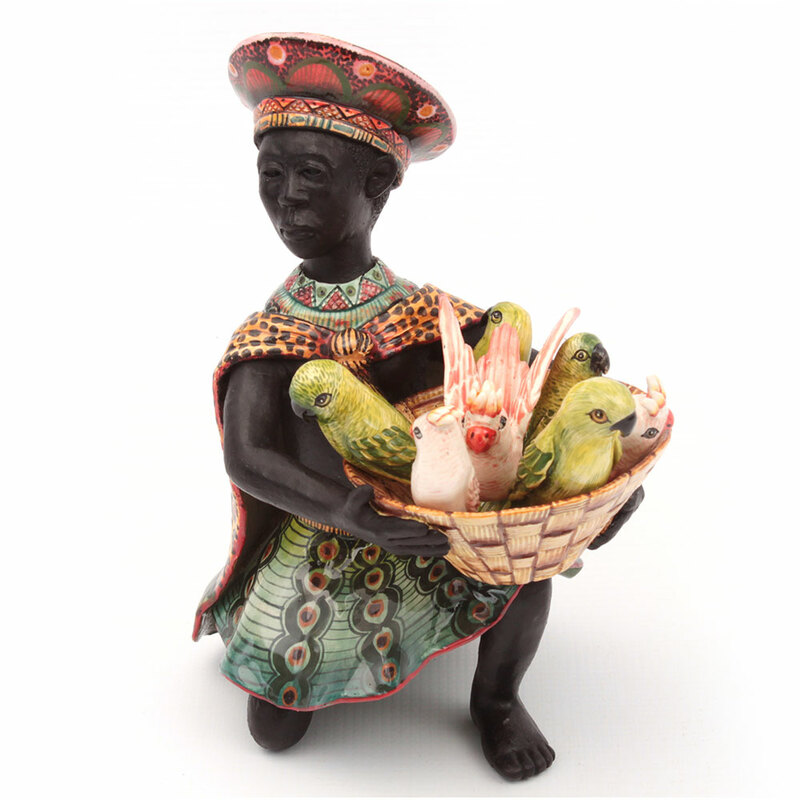 They are often illegally captured and traded because of their remarkable ability to mimic human speech and other sounds. 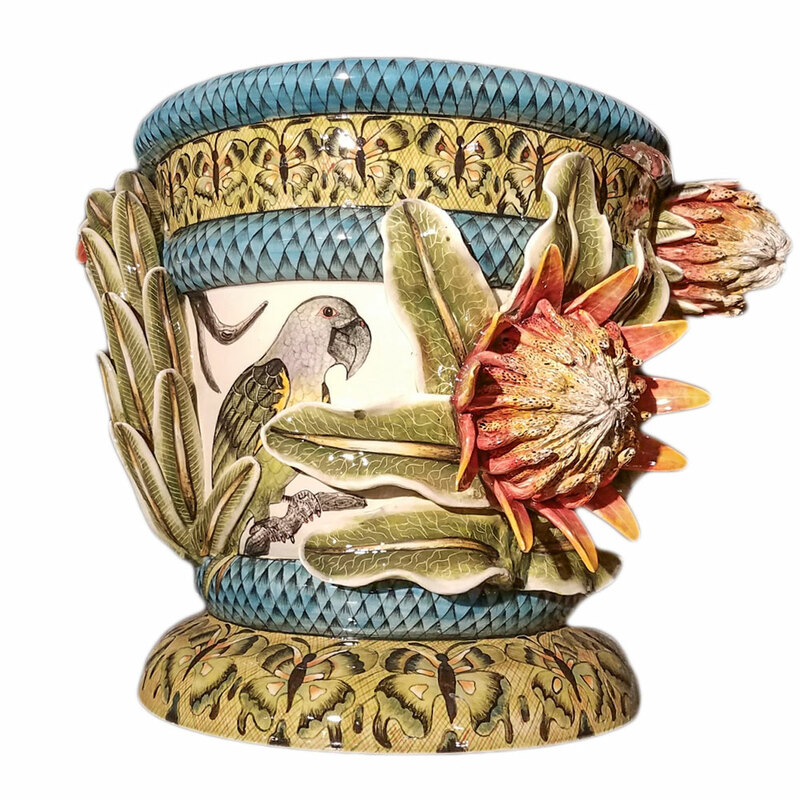 Christopher Marley was introduced to the beauty of birds by his father who was a breeder of Australian parrots and kept aviaries throughout his life. 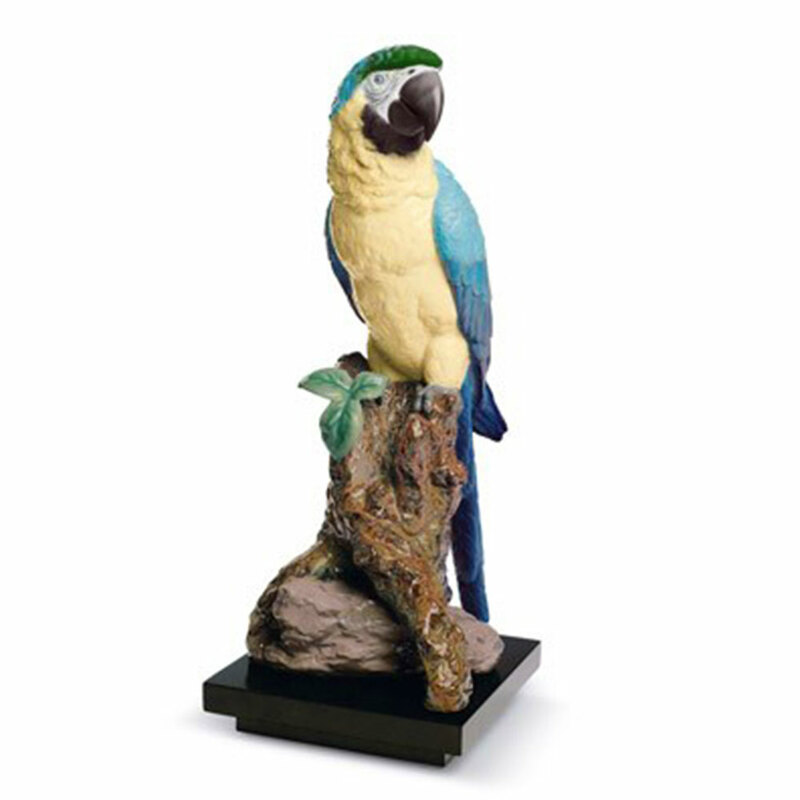 His dad’s reluctance to dispose of his avian friends when they died made searching for popsicles in the family freezer quite a challenge as he and his siblings had to dig through perfectly preserved parrots. 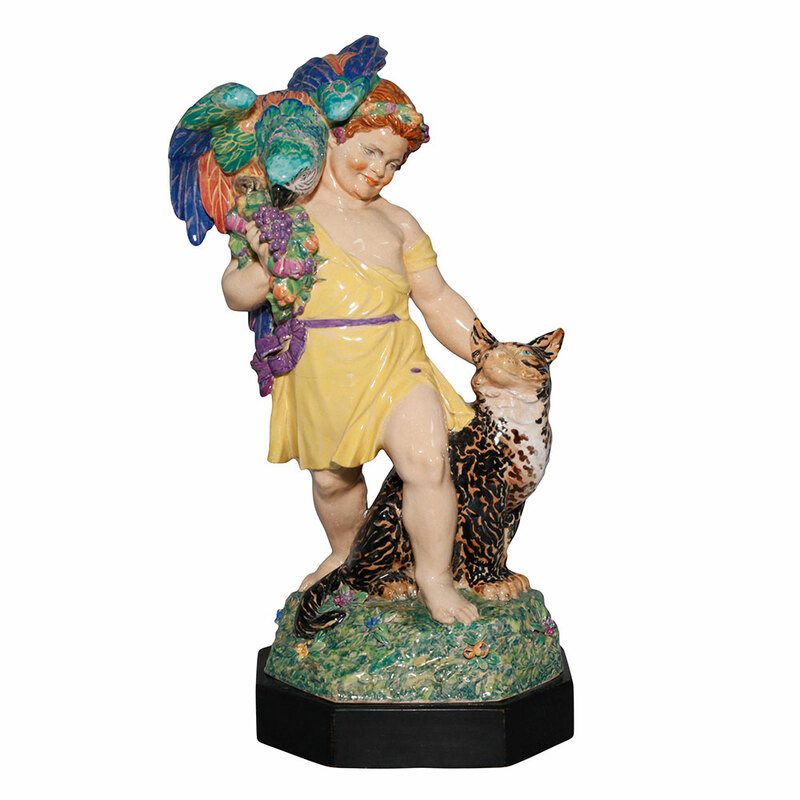 As a child, he thought their feathery softness and elegant grace represented the sissy side of nature and he preferred reptiles. 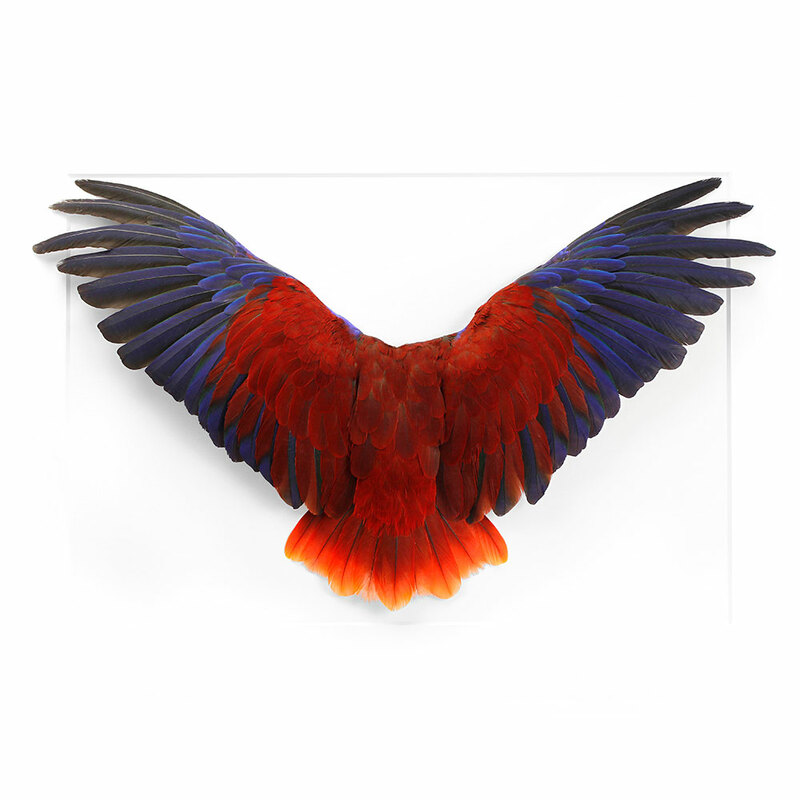 However, this all changed around 10 years old, when his discovery of a dead finch in the garbage at his father’s aviary led him to study the feathers and wing structure more closely in the hope of preserving its beauty forever. 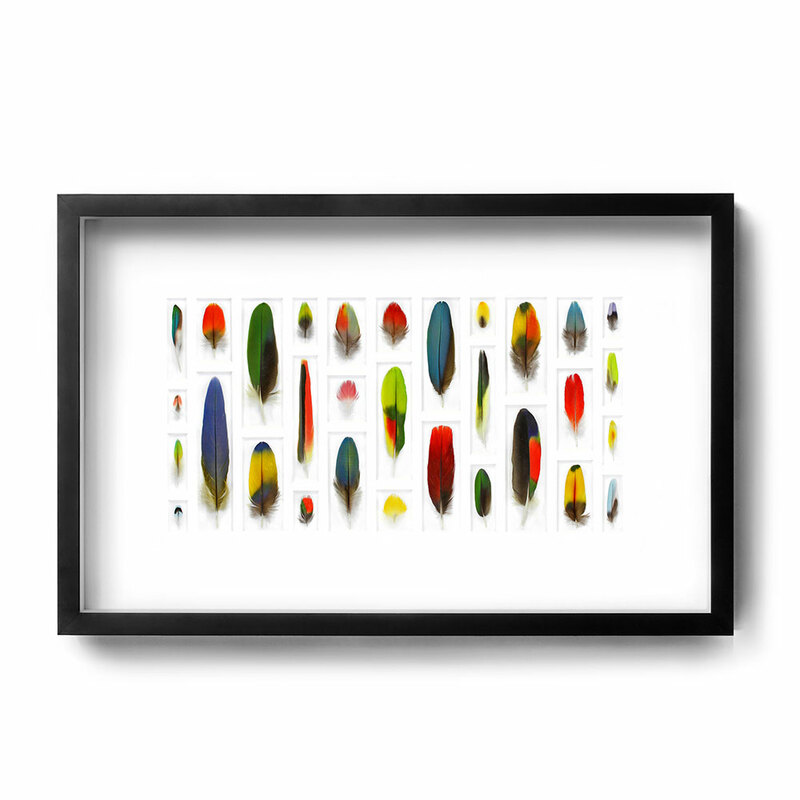 Now, nearly 40 years later, he makes striking works of art from deceased Macaws and Parakeets and forms exquisite feather mosaics. 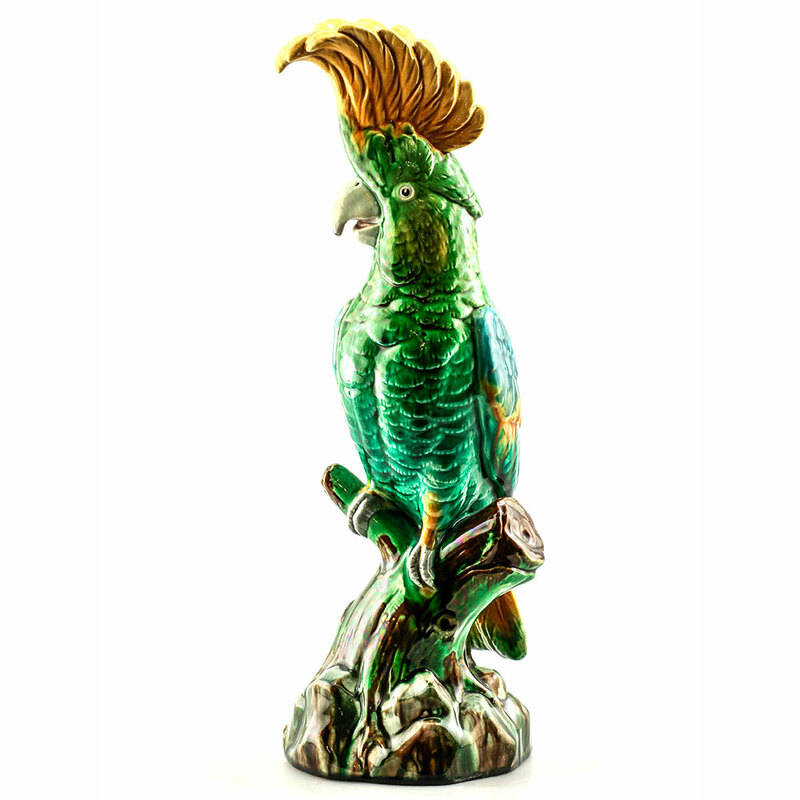 In addition to the Boehm birds, the Wiener Museum has several splendid examples of parrots in pottery and porcelain, including a Minton Majolica pair from the 19th century and contemporary examples from the Lladró and Ardmore studios. 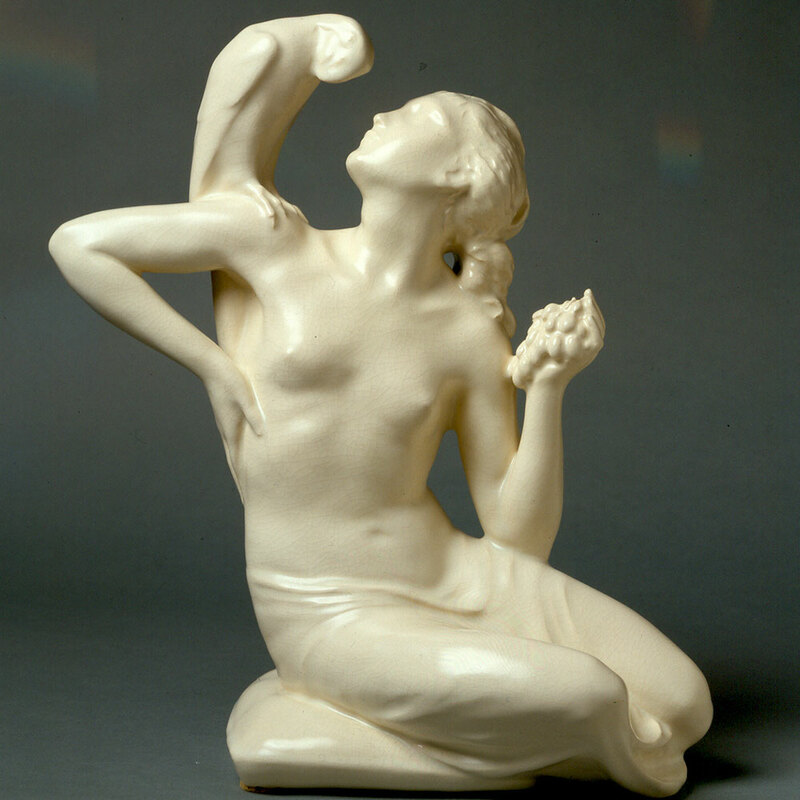 Many of the European ceramic artists were influenced by Chinese export porcelain parrots. 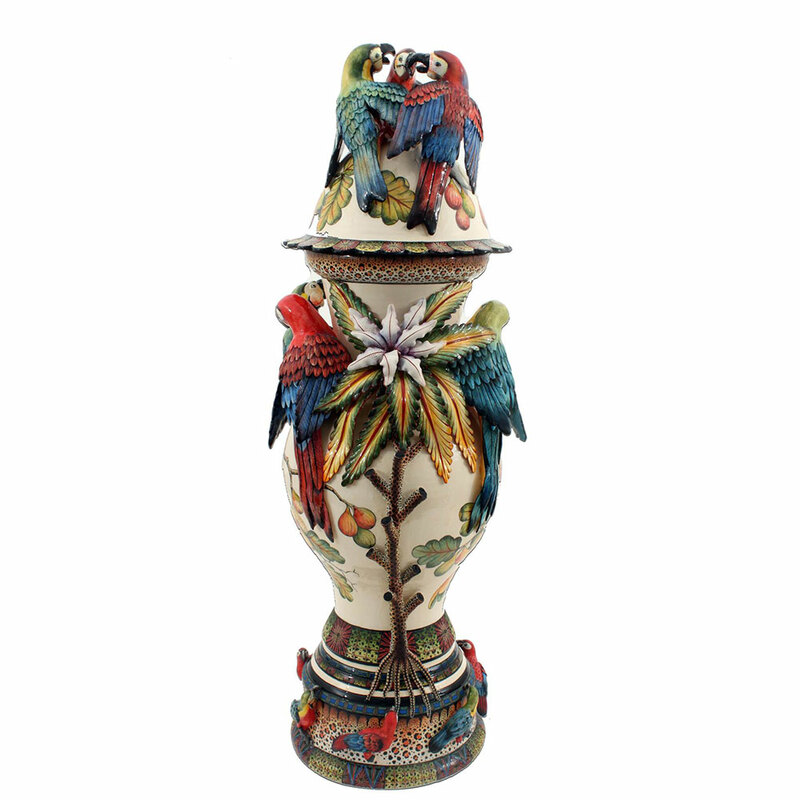 The birds have been associated with many beliefs in Chinese culture. 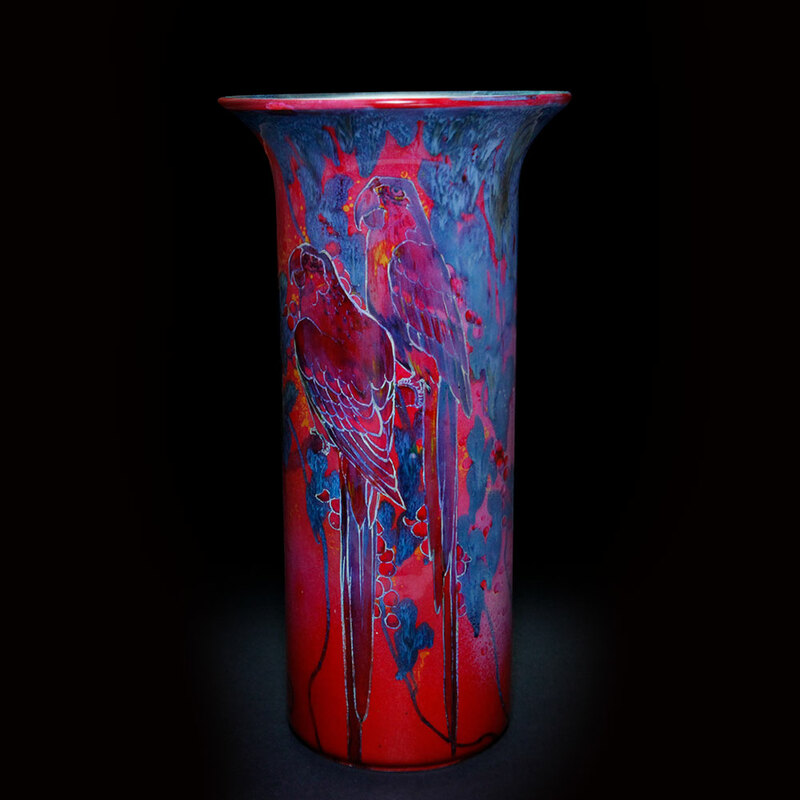 The feathers represent the colors of the elements of life – fire, water and the sun. 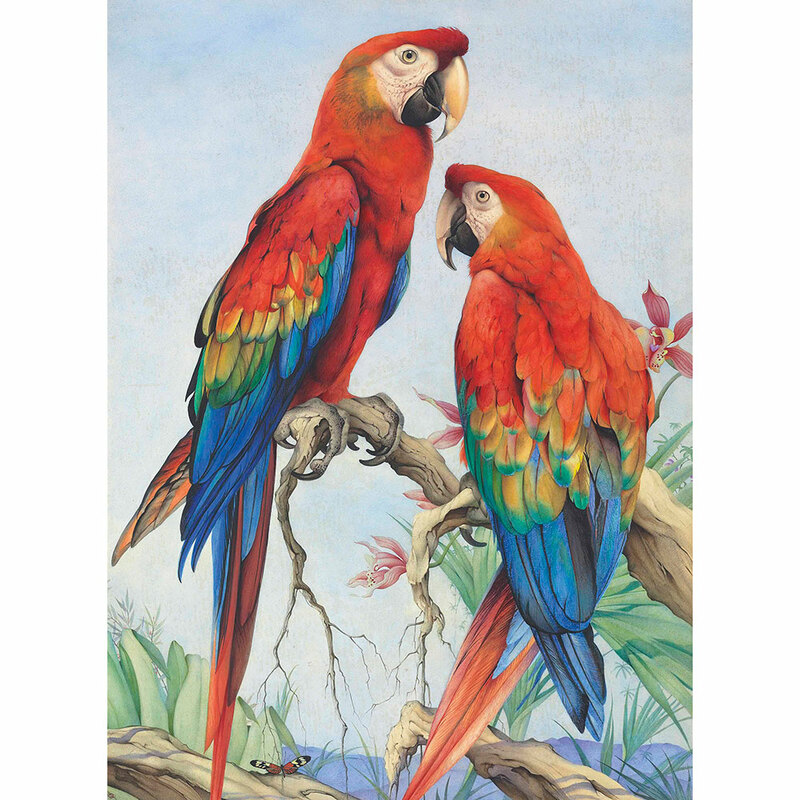 A pair of parrots symbolizes affection, fidelity and deep enduring love. 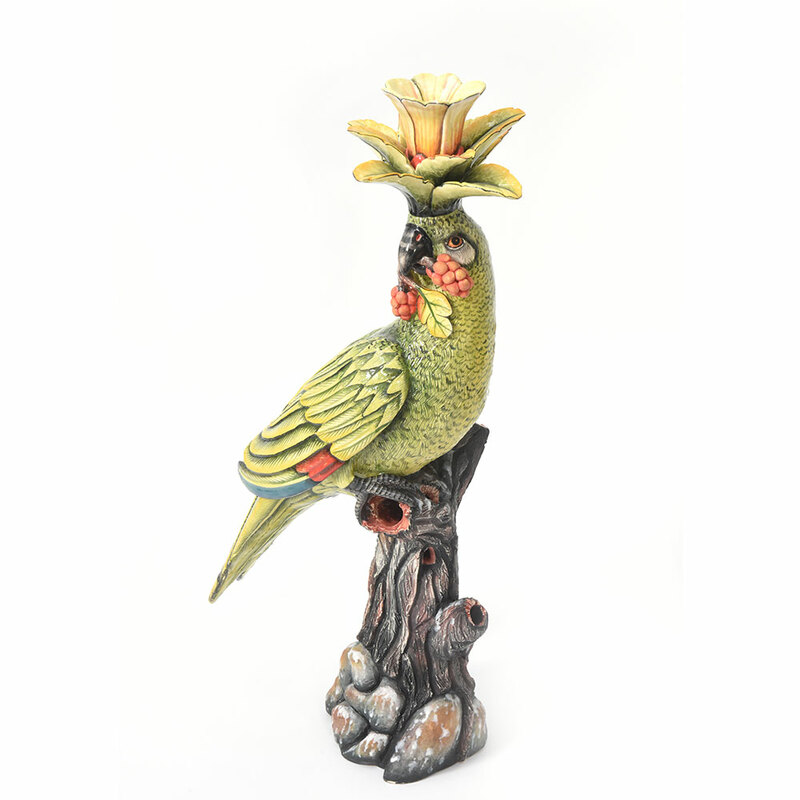 Parrots were often kept in the living quarters of women and were considered the keeper of their secrets. 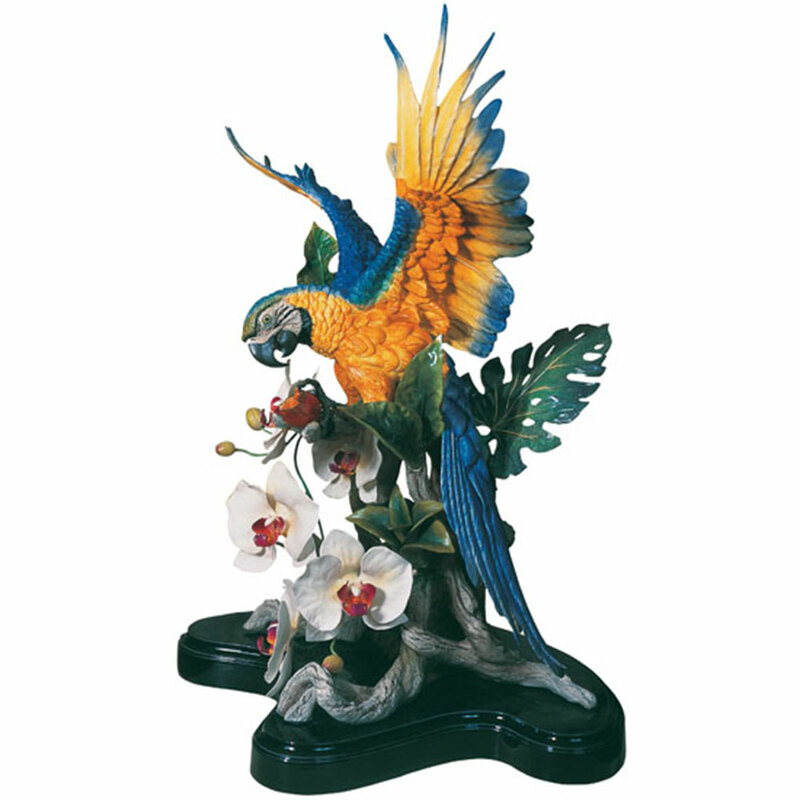 In feng shui, the parrot is a bearer of good news and draws positive energy or chi. 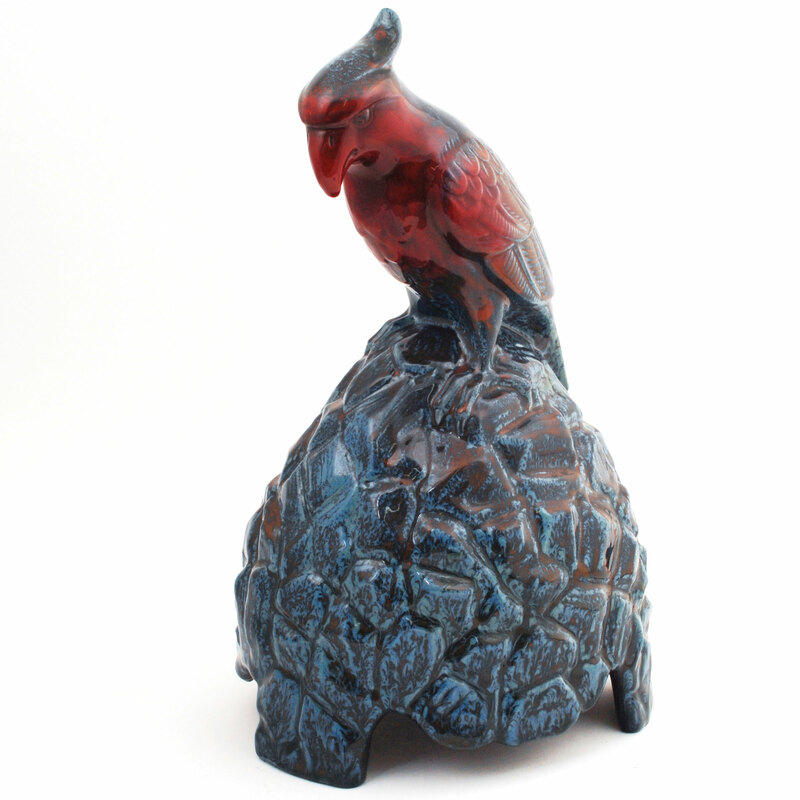 Glazed terracotta parrots often stood guard on the edges of rooftops to protect private homes and public buildings.